J-Wire publishes a monthly series by Stevie Whitmont of vignettes of Jewish composers banned in by Nazis. This month features Hans Gál. 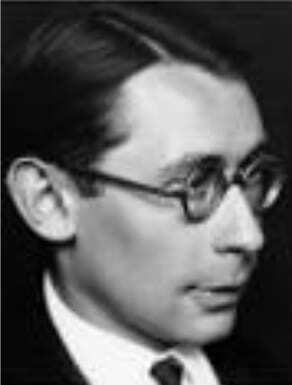 Hans Gál (1890–1987) Hans Gál’s greatest irony was to escape the death camps of the Third Reich, only to be interned by the British on the Isle of Man. Gál was an urbane intellect, academic author and cross-genre composer with works firmly established in the concert repertoire prior to WWII. In mid- career, at the age of 43, he was summarily dismissed from his academic post as Director of the Mainz Conservatoire; from 1933 (with the Nazi’s rise to power), performance and publication of his works were banned in Germany. Anticipating the dangers to come, and hoping for better conditions, Gál moved his young family to his native Austria. After the Anschluss in 1938, they fled Austria for Britain, where Gál began a successful integration. He worked in the first instance as a music librarian at the Reid School of Music, University of Edinburgh. Fluctuating political attitudes in Britain towards “enemy aliens” saw him and his teenaged son Franz suddenly interned in May, 1940. Gál himself was sent to a camp in Huyton (near Liverpool) and then on to the “Central Promenade Camp”, Isle of Man . The conditions were primitive: crowded, often unsanitary, and with meagre rations. But the main horror for Jewish Gál was being quartered in daily contact with other Germans holding anti-semitic Nazi beliefs. He countered this humiliation with an energetic participation in theatre and music activities organized within the camp by colleagues. Gál’s insightful and entertaining account of the period is described in his personal diary, recently translated by his daughter Eva Fox-Gál. It can be found in the NSW Conservatorium Library, Sydney: Hans Gál, Music Behind Barbed Wire – A Diary of Summer 1940; (Luton: KerryPress; 2014). Gál was released at the end of September on medical grounds (he had developed a debilitating skin condition while interned). He returned to Edinburgh and established a highly successful musical presence: He became a university lecturer, performed actively, conducted widely and taught. He was a founding member of the celebrated International Edinburgh Festival. And he continued to compose: more than half his published works were written after WWII. There were many sad events in Gál’s life, not the least being the suicides of both his sons (not to mention the suicides of his sister and aunt in preceding years, poisoning themselves to avoid deportation to Auschwitz). Yet his music manifests an enduring optimism, described by his daughter Eva Fox-Gál as “characterised by wit, conciseness, lucidity and understatement, rather than pathos”. Gál died in Edinburgh in 1987.